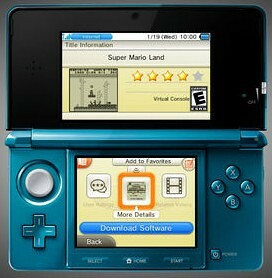 The Virtual Console for the 3DS will feature games from the Game Boy, Game Boy Color, Game Gear, and TurboGrafx-16. For the next couple of weeks I will be releasing my Top Ten Most Wanted games for these systems and others that may potentially make the 3DS Virtual Console. Whenever a game is part of a series, I will just put the series name and the game I’m most interested in seeing. This week, I will focus on the Game Boy Advance. 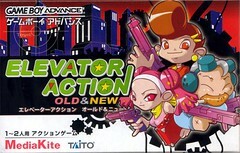 Elevator Action Old & New is a game that was only released in Japan. It is actually two games in one. The first game is the original arcade version of Elevator Action. 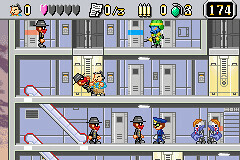 In it you play a spy who must infiltrate a building and collect secret documents. You land at the top of the building and make your way down through escalators and elevators. On the way down you will have to fight your way through agents planted to protect the secret documents. The second game is an updated remake of the first game with some new elements sprinkled throughout. In this game, you can play as one of three characters and you have a grenade subweapon and a heart health system. Now you have to fight against enemy agents, police officers, robots, zombies, etc. You can also escape enemies by shooting out lights. Last but not least, there’s a multiplayer mode where you can race against another player or a computer A.I. in order to find all the documents first. If you can get your hands on this game, it comes highly recommended. The only problems are the language barrier and the scarcity of the cartridge. However, if this game is ever released on the 3DS VC, at least the scarcity problem will be solved and the language barrier is not that much of a hindrance anyway. Trivia: You can play as a hidden fourth character (a ninja) after beating the game with the first three characters. Mother 1: The boy, whose default name is Ninten, sets out on a journey to discover the cause of the mysterious phenomenon that occurred in his home one day. As the story develops, he meets friends along the way, and they fight their way to the source of all their troubles. Mother takes place during a more modern time (1980s) in the United States and has equipment like baseball bats instead of swords and psychic powers (PSI) instead of magic. 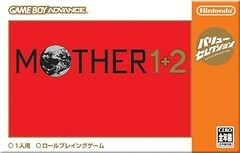 Mother 2: Is the second game in the Mother video game series. Mother 2 tells the story of Ness, a 13-year-old boy who journeys around the world using his psychic powers to collect eight melodies in order to save the future from an alien of pure evil, intending to sentence all of reality to the horror of eternal darkness. Mother 3: It is the third, and allegedly final game in the Mother video game series. Mother 3 tells the story of Lucas, a young boy, and his friends who journey the Nowhere Islands to save the islands from an invading army and its leader, introducing new technology and infrastructure to the islands. I am a huge fan of RPGs and the Mother series is regarded as one of the best and most unique of its era. I hope Nintendo finally realizes how many people want these games to come over to the rest of the world. There’s a huge language barrier present in this game but, either Nintendo has already translated these games and has them sitting somewhere, or they can just buy off the fan made translations for these games. Either way, Nintendo, get on this. Out of all the games, I’m most interested in playing the first one, just because I want to experience them in chronological order. Trivia for Mother 1: A translation for this game was actually completed. However, the game was to coincide with the release of the Super NES and therefore they decided to shelve it. Trivia for Mother 2: The only explicitly returning character is Giygas the main antagonist of the first game. Trivia for Mother 3: Mother 3 started its life as an N64 game. However, it was shelved because it would come out too late in the console’s life cycle. 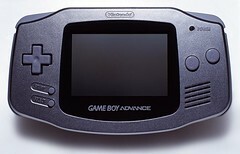 It was later developed for the Game Boy Advance with a new main character, Lucas. Wario started his career as the main nemesis of Mario in Super Mario Land 2: Six Golden Coins. Afterwards, he stole (of course) the Super Mario Land series and turned it into the Wario Land Series. Not to be content with this new found success, Wario was watching TV one day and realized that he could make a lot of money by making video games, and thus, Wario Ware, Inc. was born. The Wario Ware series is one of the weirdest game series ever created. In it, the player plays microgames created by Wario and his friends. These micro games only last for a few seconds and are followed immediately by other microgames. I’m most interested in playing the second game in the series, Wario Ware Twisted, which is heralded by many as the best in the series. Trivia: Two microgames that appeared in the original game, “Birds and Beans” and “Paper Plane,” can be downloaded through DSi Ware. A stage based on the WarioWare corporation is featured in Super Smash Bros. Brawl. There are two Kirby games for the Game Boy Advance. The first one is Kirby: Nightmare in Dreamland. Nightmare in Dreamland is actually a remake of the NES game Kirby’s Adventure with updated graphics and new minigames. The game also featured 4 player support, a decrease in difficulty, new enemies, etc. The second game, Kirby and the Amazing Mirror, is more non-linear and features a maze layout, like Metroid. 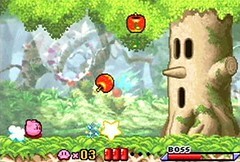 The game also features multiplayer and CPU controlled Kirbys that can be called via an in-game cell phone. In this game, Kirby’s ability to inhale various things is more limited as seen by his mouth expanding until he needs to exhale. Out of these two games, I’m most interested in Nightmare in Dreamland. I like the art style better, plus it’s a remake of the first NES game, which I’ve always wanted to play. 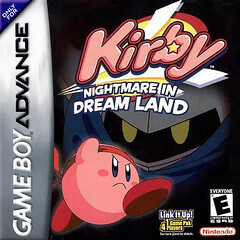 Trivia for Kirby: Nightmare in Dreamland: Nightmare features an extra mode which is more difficult than the main game. If you beat the extra mode, you can play as MetaKnight in a mode called MetaKnightmare. Trivia for Kirby and the Amazing Mirror: The bosses and areas in the game appear to be mirrored versions of those in Kirby's Adventure / Kirby: Nightmare in Dream Land. Kirby and the Amazing Mirror shares some gameplay elements with the Four Swords series of Zelda games, in that the players, at times, must work together to overcome obstacles. Ironically, the Mirror ability is not in the game. This is the only Kirby game to not feature King Dedede. Kracko, the boss of Mustard Mountain, is the only boss not to be a mirror counterpart of a boss. Mario & Luigi: Superstar Saga is the third Mario RPG. It is preceded by Super Mario RPG: Legend of the Seven Stars on the SNES and Paper Mario on the N64 and is the first in the Mario and Luigi series. You play as Mario and Luigi simultaneously and you fight enemies in RPG fashion. The A button controls Mario’s Actions and the B button controls Luigi’s actions. I had this game and stupidly enough, traded it in. I have no doubt that it will make it to the 3DS VC and I can’t wait to see “I have fury” on my 3DS screen. Trivia: The game takes place in the Beanbean Kingdom, instead of the Mushroom Kingdom. The Game Boy Advance port of “Mario Bros.” is included in this game and can connect to the Super Mario Advance games. This is Mario and Luigi's first adventure together since Super Mario World. In Super Mario RPG: Legend of the Seven Stars, Mario whistled the Super Mario Bros. theme while showering in the Marrymore Suite. Similarly, Mario is briefly seen humming the theme while showering in the opening to this game. 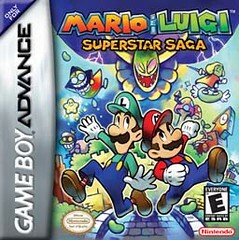 Mario and Luigi: Superstar Saga is one of the few Game Boy Advance game to make use of the rumble effect when played on the Nintendo GameCube's GBA player. Mario and Luigi's M and L emblems on their hats are both black rather than the usual red and green. There were five Pokemon games released for the Game Boy Advance. Ruby and Sapphire were new games set in a new region (Hoenn) featuring never before seen Pokemon. Emerald was the, now traditional , third game in the series, which featured new features and tightened gameplay. FireRed and LeafGreen marked the first Pokemon remakes ever made. They are remakes of the first games in the series Red, Green (in Japan), and Blue. These game included a wireless adapter which allowed players to battle and trade with each other without the use of link cables for the first time. These games also connected with Ruby, Sapphire, and Emerald. If I had to choose one game out of all of these it would be Pokemon FireRed, which was the first Pokemon game I actually completed. I hope Nintendo finds a way to make these games talk to each other so that we can “Catch ‘em all” all over again. 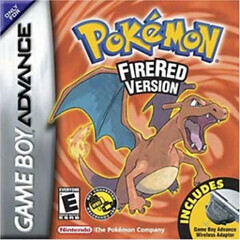 Pokemon FireRed/LeafGreen Trivia: A number of references to the plot and characters of the Generation II games, Pokémon Gold and Silver, appear in these games. These were correctly interpreted by fans as hints at an eventual remake of the pair in Generation IV. The truck, long rumored to have a Poké Ball containing Mew under it, appears again as scenery near the S.S. Anne. This time around, however, following the instructions of Generation I will earn the player a Lava Cookie. A piece of text in the game's code reads, "By the way, if you like this game, buy it or die." This text is actually an anti-piracy measure that can be activated by using a Seagallop Ferry when playing a dumped ROM of the game. Several ROM dumpers have verified that this was not inserted by a third party. Along with the original Generation I games, these are the only main series games that do not involve a legendary Pokémon in their main plot. Incidentally, they are also the last main series Pokémon games to feature a non-legendary Pokémon on the cover. According to Junichi Masuda (one of the founding GamFreak Developers), the reason why LeafGreen did not become WaterBlue outside of Japan was for the following reasons: A leaf is a symbol of peace, while fire and water are opposing concepts and thus would seem more like a conflict. A leaf is also an easier concept to grasp and translate into other languages, and in this world of conflicts, the creators wanted to give a name suggestive of a peaceful world. Game Freak also wanted a colorful drawing of a Bulbasaur family member on the boxart. Masuda explains that, as with legendary Pokémon, creating a title for each Pokémon game that can be used and easily understood in all countries is not an easy task. Pokemon Ruby/Sapphire Trivia: Along with Emerald, these are the only games to feature both a father and a mother for the main character. These are also the only main series games where the rival is never encountered with his/her starter in its final stage. Ruby and Sapphire are the first main series games in which Kanto is inaccessible. These were the first Pokémon games to have a framerate of 60. This change carried over to FireRed, LeafGreen, and Emerald. However, the framerate was downgraded to 30 in the Generation IV games. Pokemon Emerald Trivia: Pokémon Emerald was the first game to feature Gym Leader rematches. 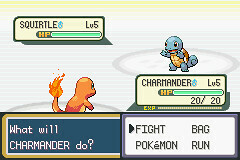 Emerald has many similarities with Pokémon Platinum: both are the third versions of their respective storylines, add a Battle Frontier in the place of the regional Battle Tower, are represented by the final member of a legendary trio which was not confirmed to be part of it beforehand, and share features with the remakes of their generation that are not present in the original paired games. Pokémon Emerald Version is the last Pokémon game ever made for the Game Boy systems. GameStop released a special tin with a Battle Pass and more. People could get it if they pre-ordered Pokémon Emerald online. I was late to the Metroid party. Even though I played a bit of the original, I never actually played much of it or gave it much of a second thought. I skipped over Metroid II and Super Metroid when they came out because I simply wasn’t interested in the franchise. It wasn’t until Metroid Prime and Metroid Fusion came out that I decided to give the franchise another try. I couldn’t believe I was missing all this awesomeness for all these years. Even though I have yet to beat any Prime game, I devoured the 2D games. I love Metroid Fusion to death. Same thing with Metroid Zero Mission, especially at the end when you think the game is over and have to escape from the Space Pirates. When Super Metroid came out for the Wii, I bought it that same day and beat it in less than two. As you may probably surmise, I am in love with 2D Metroid games, and I cannot wait for Nintendo to release these two games on the 3DS VC. 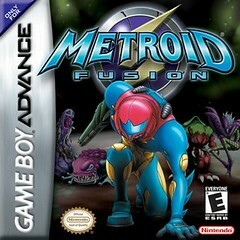 I am most excited to play Fusion which was the game that finally got me into the Metroid series. Metroid Fusion Trivia: The Metroid Fusion instruction manual states that Metroids were actually created by the Chozo to prevent the spread of the X parasite and that the word "Metroid" roughly translates to "ultimate warrior" in the Chozo language. Metroid Fusion is the only Metroid game that can be completed with 0% of the items (only the capacity upgrades count towards the percentage, not the Power-ups themselves). A selectable suit costume resembling the Fusion Suit appears in Super Smash Bros. Brawl. In the Metroid series's timeline, Fusion is Samus' final appearance, as Other M takes place between Super Metroid and Metroid Fusion. In Metroid Fusion, Samus occasionally references a mission she disliked because she was constantly ordered around throughout it. Many consider this mission to be Metroid: Other M, although it was likely originally a reference to her time with the Federation Police Force, since Other M was released quite some time after Fusion. Owners of both Metroid Prime and Metroid Fusion can unlock new features in Metroid Prime using the Nintendo GameCube-Game Boy Advance cable. After completing Metroid Prime, the player can unlock Samus's Fusion Suit for use in Metroid Prime, and if they complete Metroid Fusion, they can unlock an emulated version of the first Metroid game. Players can also link Metroid Fusion to Metroid: Zero Mission to unlock a Metroid Fusion picture gallery, which includes additional concept art, and extra images from the Japanese version of Metroid Fusion, which chronicle Samus's early years. Metroid: Zero Mission Trivia: This game has a prequel manga depicting Samus' childhood, as well as some of Samus' history in the Federation and a small rendition of the game's events. It has been fan-translated into English. 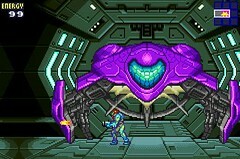 Metroid: Zero Mission is the first game that has part of the story take place while playing without the Power Suit (discounting the original Metroid, which used the Justin Bailey code to access an unlockable cosmetic variant). There is a microgame based on the game in WarioWare D.I.Y. The game makes a cameo appearance in an episode of House M.D. titled "Occam's Razor", where House can be seen playing it during several parts of the episode. Notably, the sound effects are different, possibly due to copyright issues. There are mentions of "Level 4" and "space bunnies", and apparently turning into the Morph Ball in a Chozo Statue's hand causes the player to lose. The Legend of Zelda is my favorite franchise of all time. In fact, I have been playing all of the Zelda games from the first one to A Link to the Past in preparation for the upcoming Link’s Awakening. I am also playing Ocarina of Time on the Wii VC in preparation for the 3DS version. A Link to the Past was a turning point for me. It turned a franchise I was in love with, into my premier franchise. It took all the elements that made The Legend of Zelda a classic and expanded upon them. It took the 2D top down perspective and added screen scrolling. It took the Overworld and made a twisted version called the Dark World which was just as big and memorable. And most importantly, it gave Link, Zelda, and Ganon some much needed depth. After all, this was the first game to feature a new Link, something which we take for granted now a day. The Game Boy Advance version introduced some slight graphical and aural changes to the game in addition to a new dungeon. The biggest addition was the multiplayer Four Swords mode. In this new adventure, Link must battle a new villain, Vaati, by using the power of the Four Sword, a legendary sword that duplicates the wielder. The game was extremely fun to play, because you had to work with others in order to progress. This led to a lot of friendly competition between the players, because, even though they were working together to progress, they were also competing for rupees and powerups. Even though, The Minish Cap is considered part of the Four Swords series (Four Swords, Four Swords Adventure, The Minish Cap), featuring Vaati as the main villain, it plays more like a traditional Zelda game. 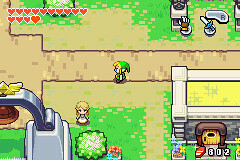 Unlike the other two games, it features a Hyrule overworld which you can freely explore as a normal sized Link or a diminutive Link the size of a Picori, which is a race of tiny people no bigger than Link’s thumbnail. 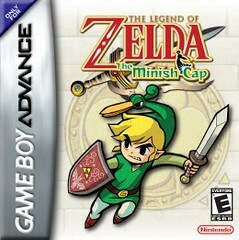 Out of these two games, I am most interested in playing The Minish Cap. I have wanted to play a new traditional top down Zelda for a long time, with no touch screen controls. Since I have never played this game, it will be a completely new experience for me. Trivia for The Legend of Zelda: A Link to the Past: The game added sounds and music from Ocarina of Time and altered the sprites somewhat. Link screams whenever he swings his sword or takes damage. The Ice Palace dungeon was altered to make travel slightly less difficult. Another major change is that the GBA port changes the original "seven wise men" to "seven Sages", as Ocarina of Time clearly showed that only two of the seven Sages were actually men. 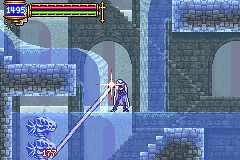 The Palace of the Four Sword was also added in the GBA remake of the game as an optional dungeon. 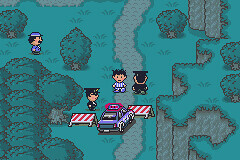 The Chris Houlihan Room is accessible in the GBA version, but Chris Houlihan's name is not mentioned in the game text. The shop to the east of the Village of Outcasts was changed to sell only shields, and was surrounded by Like Likes, which are an enemy type that did not appear at all in the original SNES version. Trivia for The Legend of Zelda: The Minish Cap: The logo for the game featured in pre-release material and some commercials featured the Master Sword rather than the Four Sword. This is interesting, because the Master Sword does not appear in the game at all. There have been three existing official logos for this game including one with Ezlo next to the name and one with the Master Sword next to the name. Unique in the Zelda series, the game was released in European territories before North America. On May 1st, 1999, Nintendo released a portable version of (in my opinion) the most important game in the history of video games, Super Mario Bros. So, how do you top this event? You release all of its sequels in a new and more advanced (no pun intended) handheld. The game series included Super Mario Bros. 2, Super Mario Bros. 3, Super Mario World, and Super Mario World 2: Yoshi’s Island. Super Mario Bros. 2 and Super Mario Bros. 3 were ports of the Super Mario All-Stars versions of these games, while Super Mario World and Yoshi’s Island, were mostly direct ports with a few tweaks (see below). I am most interested in playing Yoshi’s Island since it’s the only Super Mario Advance title that I don’t own and I’ve never actually played much of either the SNES or the GBA version. Trivia for Super Mario Advance: Super Mario Bros. 2: Voices for Mario, Luigi, Princess Peach, Toad, and the bosses were added. The game can be saved after every level. The insides of vases were changed and so did the music inside the vases. More enemies were added in the game. It is possible to remove Green and Red Birdo's Ribbon by jumping on them and picking it up, the player could either throw it away, or put it back on Birdo by throwing it back at them. Trivia for Super Mario Advance 2: Super Mario World: Voices have been added to Mario, Luigi and all of the Bosses apart from the Reznors. Some of Mario and Luigi's voices were ripped from the first Mario Advance, while the others are new. Players now start out with the power up they last had. When the player gets hurt with Cape or Fire power, the player won't become tiny and need to use the item in reserve (if any), but the player will become Super Mario/Luigi, and they will keep the reserve item. Luigi is an optional character for player 1 and he has some differences: Luigi jumps higher and farther than Mario. Luigi runs slower than Mario. When Luigi flies using the Cape, he doesn't fly as fast as Mario. When hurled, Fire Luigi's fireballs bounce higher than Fire Mario's. Luigi is updated to resemble his current look: tall and skinny, while Mario and all the others are still the original sprites from the SNES game. Trivia for Super Mario Advance 3: Yoshi’s Island: As always, the palette is lightened to combat the original Game Boy Advance's lack of a backlight. All Yoshis had red shoes in the original. In the remake, they have different colored shoes, as in Yoshi's Story. The overworld map was redesigned. The path the Yoshis follow to their goal is now in a straight line, and spots have been added to the map for each world's two hidden levels. Additionally, a "world select" screen was added. The game's soundtrack was downgraded to match the Game Boy Advance's sound capabilities. Several sounds in the original were replaced by sound clips similar to the ones heard in Yoshi's Story - most notably Baby Mario's cry and Yoshi's voice. Trivia for Super Mario Advance 4: Super Mario Bros 3: The 1 Player and 2 Player options were replaced with the option as playing as either Mario or Mario & Luigi, which is essentially identical to the former options. Luigi's animations are similar to his Super Mario All-Stars: Super Mario Bros. 3 counterpart, but he now has his Super Mario Bros. 2-styled "Flutter Jump." Koopa Troopas can now be stomped underwater. Upside-down Spiny shells can now be safely touched, stomped or kicked from above without taking damage; in previous versions, even an immobile, upside-down Spiny shell would hurt Mario if he landed on top of it. Giant Brick Blocks can now be broken with Mario's tail (with the Raccoon or Tanooki suit). 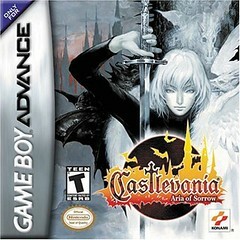 The Castlevania games for the Game Boy Advance are my favorite games for the system. Instead of following the old stage based platformer style from the NES games, these games followed the Metroidvania style established by Symphony of the Night. The first of these games, Circle of the Moon, was set in 1830 and stared Nathan Graves (no relation to the Belmonts) who wields the “Hunter Whip” (not the Vampire Killer). Nathan had to traverse Castlevania in order to rescue his friend Hugh Baldwin and his mentor Morris Baldwin. The game was unique in that it featured a card system called the DSS (Dual Setup System) Magic System which used a combination of cards in order to augment your attacks. The second game, Harmony of Dissonance, is considered the black sheep of the trio. It had better graphics than the first game but the music was not as good. The game was also too easy. The game took place in 1748 and featured Juste Belmont, grandson of the legendary Simon Belmont. Just like Simon, Juste had to collect Dracula’s remains to resurrect him and defeat him in order to save his friends, Maxim and Lydie. Juste used his whip and magic books in order to defeat the forces of Dracula. The third game, Aria of Sorrow, is considered to be the best game in the trilogy. It has the best graphics, characters, music, gameplay and story. It is set in the future, in the year 2035 and stars Soma Cruz. Though not a Belmont, Soma had some very important heritage that would be revealed throughout the games plot. Aria of Sorrow features a new and very innovative magic system in which the player collects the souls of fallen enemies which fall into four different categories: Guardian Souls (provide defensive abilities), Bullet Souls (Subweapons), Enchanted Souls (enhance attributes or give latent abilities), and Ability Souls (allow Soma to reach new areas). Aria of Sorrow is my favorite of the GBA Castlevanias and is the one I’m most interested to play in my 3DS. Trivia for Castlevania: Circle of the Moon: For American gamers, this was the first appearance of Carmilla since Simon's Quest on the NES. In 2002, Circle of the Moon was removed from the series timeline, a move met with some resistance from fans. Igarashi noted the reason for the removal as not due to his non-involvement with the games, but instead the intention of the game's development team for Circle of the Moon to be a stand-alone title. However since that time, later timelines distributed with preordered copies of Castlevania: Portrait of Ruin noted the game's presence, as did one featured in Nintendo Power for a preview of Castlevania: Order of Ecclesia. However, unlike other games mentioned Circle of the Moon's events were not described. Castlevania Harmony of Dissonance Trivia: In the Cave of Skeletons, several background details make references to other games in the series; most notably, the large statue, reminiscent of Dracula's final form in Castlevania III: Dracula's Curse, another statue which is clearly intended to resemble Camilla's mask (Vampira) from Castlevania II: Simon's Quest, the giant three-eyed skull from Castlevania: Rondo of Blood, the skeleton of Medusa, and the skeletons of the dynamic duo from Super Castlevania IV, Slogra and Gaibon. Castlevania Aria of Sorrow Trivia: Igarashi wished to try a "different route" for the series with Aria of Sorrow via placing the game in a futuristic setting. Ayami Kojima, who had previously collaborated with Igarashi on the designs for the characters of Symphony of the Night and Harmony of Dissonance, was brought into the project. Following the "different route" motif, the character designs were made more contemporary, using modern clothing over the more medieval look of the previous Castlevania installments. In developing the game's back story, Igarashi partially based it on Nostradamus's prediction of a "big evil lord in 1999" and the 1999 solar eclipse in Eastern Europe. Though Aria of Sorrow was successful, it's sales figures failed to meet expectations and prompted the switch to anime-style designs in Dawn of Sorrow. Honorable Mentions: Donkey Kong Country Trilogy, F-Zero Trilogy, Game & Watch Gallery 4, Advance Wars Saga, Astro Boy: Omega Factor, Contra Advance: The Alien Wars EX, Disney’s Magical Quest, Double Dragon Advance, Super Street Fighter II: Turbo Revival, Wario Land 4, and Ninja Five-0. Tune in next week for my next Top Ten 3DS Virtual Console Wishist which will focus on Game Gear and Turbo Grafx Express games. Note: There are two big franchises that are not on this Top Ten list, but which are mentioned in the Honorable Mentions section, a lot of you must be surprised did not make this list. The reason for this was not because I don’t think the games deserved to be on there, but because I believe that these franchises will be better represented in another form on the 3DS. More on this soon. 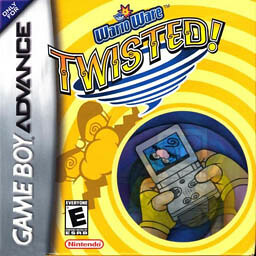 It would be really cool if they could bring Warioware Twisted to the EShop using the in built gyroscope. The game was never released in Europe so it would be great to finally play it. Some great choices in here. I'm also looking forward to Mario vs DK (a semi-sequel to Donkey Kong '94) and the Golden Sun games. Other than that, I think my favorite GBA games are represented here - Metroids Fusion and ZM, Mother 3, Zelda: Minish Cap, M&L: Superstar Saga, etc. @warerare Yeah. I'm hoping Nintendo finds away to address this and the communication aspects of Pokemon. Advance Wars should be in the top 10! Although I guess if you have played Dual Strike/Days of Ruin, it's not quite as necessary to go back and play the older ones. @CPA Wei Is it really that good? I bought it a few weeks back because I saw it for $5, played about 20 minutes, and was kind of bored. But admittedly, I never gave it a fair shot, I don't think I even got past the tutorial area. What a great article, thanks Sir! I particularly enjoyed reading all of the trivia. I already own most of these games, so good picks! Elevator Action I'd never hear of, and I'd like to try it. Also, the Kirby games flew over my head for some reason and I'll be happy to try them out when (if?) the GBA hits the VC. Eh, too many other games to play. Honestly I bought it for my girlfriend to try out, and then played the first 20 minutes myself and thought... this isn't going to hook her right away and she probably won't get much further. So then I went online and ordered a few games for her instead. Still, I might go back to it... eventually. Tuttut--Tactics Ogre: The Knight of Lodis,Final Fantasy TacticsAdvance,Golden Sun(if they do do this they should make it dialog light version)?? Where are they? @anon_mastermind The article actually had more trivia for the first three but the site told me it was too much. I'll post the the full trivia once I get home for those three. @kyrke I think that the Ogre and Tactics games are better on the PSP, that's why I didn't put them here. I hated Golden Sun, though. I hated Golden Sun, though. EDIT:@Ban Bot (damn you're fast!). Totally deserved IMO. Nice, I really have a thing for video game trivia (especially Nintendo games!). I guess I'll be the first give honorable mention to the Mario Golf and Mario Tennis Advance games. Playing Golf right now and it's quite good - the RPG elements make it quite addictive. First of all, I salute you for taking the time to post such a thread OP. Second, I just started a file on Metroid Fuzion. I really like Zero Mission and I'm digging Fuzion so far. Being given specific orders on where to go next threw me off a bit, especially coming off the super cryptic Metroid 3. I didn't really play a lot of GBA games, and I'm not particularly interested in a lot of them anyway. With that being said, I'd like to check out some of the Castlevania games (I love the Metroid-style gameplay as you may have realized already) and the Mother series just out of curiosity. Trivia for The Legend of Zelda: A Link to the Past: The game added sounds and music from Ocarina of Time and altered the sprites somewhat. Link screams whenever he swings his sword or takes damage. The Ice Palace dungeon was altered to make travel slightly less difficult, and the sprite of the Witch's Hut's assistant has changed to look like Maple. Another major change is that the GBA port changes the original "seven wise men" to "seven Sages", as Ocarina of Time clearly showed that only two of the seven Sages were actually men. The Palace of the Four Sword was also added in the GBA remake of the game as an optional dungeon. The dungeon features the first four Dark World bosses with amplified power, which must be defeated to obtain the four swords needed to access the final battle against four doppelganger Links. The Pegasus Shoes were renamed Pegasus Boots to reflect later games. Other changes include the addition of a "Press Start" prompt at the title screen, the ability to skip the Triforce sequence at startup, and a "save and continue" feature on-demand instead of when Link dies. The player can also start from where they saved and the "start from" menu is displayed after Link dies instead of going to the file select menu. The Chris Houlihan Room is accessible in the GBA version, but Chris Houlihan's name is not mentioned in the game text. The shop to the east of the Village of Outcasts was changed to sell only shields, and was surrounded by Like Likes, which are an enemy type that did not appear at all in the original SNES version. Trivia for The Legend of Zelda: The Minish Cap: An interesting point is that in both The Minish Cap manga and the game, every human character are either Hylian or part of the Wind Tribe. The logo for the game featured in pre-release material and some commercials featured the Master Sword rather than the Four Sword. This is interesting, because the Master Sword does not appear in the game at all. There have been three existing official logos for this game including one with Ezlo next to the name and one with the Master Sword next to the name. The commercials incorporate some of these alternate logos. Unique in the Zelda series, the game was released in European territories before North America. The main cited reason for this was the Nintendo DS: with the European DS Launch scheduled for Spring 2005, Nintendo Europe pushed to make Minish Cap its handheld Christmas "killer app". Conversely, Nintendo America held back on its release so not to "cannibalize" the DS market. In Europe, the game was available either as a standalone packaged game, or as part of a special pack, which included one of only 25,000 limited edition, Zelda-themed Game Boy Advance SP. The Triforce SP is matte gold in color, with a Triforce logo stamped on the lid, and the Hyrule royal family crest printed on the lower right face. Trivia for Super Mario Advance: Super Mario Bros. 2: Voices for Mario, Luigi, Princess Peach, Toad, and the bosses were added. The game can be saved after every level. The insides of vases were changed and so did the music inside the vases. More enemies were added in the game. Robirdo, a new boss, replaces Mouser as the boss of World 3. Mouser replaced Tryclyde as the boss of World 6. As a result, Tryclyde only appears once in the game. When the game is finished, a new "Yoshi's Challenge" mode appears. Now, there are two eggs hidden in Subspace in each level, and the player must find and collect them all. It is possible to remove Green and Red Birdo's Ribbon by jumping on them and picking it up, the player could either throw it away, or put it back on Birdo by throwing it back at them. Clawgrip is now spelled correctly in the cast list; in previous versions, it was misspelled as "Clawglip." The Japanese release of this game, however, does not have the error corrected. Luigi's overalls are now a similar color to Mario's, in the SNES remakes, they are purple. Trivia for Super Mario Advance 2: Super Mario World: Voices have been added to Mario, Luigi and all of the Bosses apart from the Reznors. Some of Mario and Luigi's voices were ripped from the first Mario Advance, while the others are new. Also, bosses yelp as Bowser does today when they are defeated. Players can have up to 999 lives and save the number of lives for the next time the player plays the game. Players now start out with the power up they last had. When the player gets hurt with Cape or Fire power, the player won't become tiny and need to use the item in reserve (if any), but the player will become Super Mario/Luigi, and they will keep the reserve item. Luigi is an optional character for player 1 and he has some differences: Luigi jumps higher and farther than Mario. Luigi runs slower than Mario. When Luigi flies using the Cape, he doesn't fly as fast as Mario. When hurled, Fire Luigi's fireballs bounce higher than Fire Mario's. Unlike Mario, when Luigi rides Yoshi, he cannot swallow any enemy. Instead, Yoshi can spit them out and use them to attack other enemies. If Yoshi has an enemy in his mouth for about eight seconds, he will swallow it. If Luigi hits a Coin Block, all the coins will spill out of the block instead of collecting them one by one. Luigi is updated to resemble his current look: tall and skinny, while Mario and all the others are still the original sprites from the SNES game. The autumn changes will not occur until the player has found all 96 exits. Goombas and Pokeys now change. 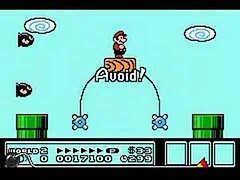 Because there is only one run button on the GBA, it is impossible for Mario to turn around while flying with the cape, or release fireballs while holding an object. Instead of Yoshi having orange hands and arms, they were like the rest of the body's color (for example, a Blue Yoshi would have blue arms instead of green). 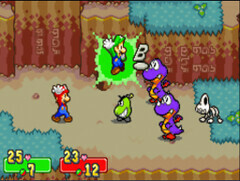 This is due to the fact that later games featuring Yoshi was like that and it become a staple for Yoshi's coloring. The artwork for Super Mario World even featured it, so reasons in-game for the arms to be orange is unknown. Trivia for Super Mario Advance 3: Yoshi’s Island: As always, the palette is lightened to combat the original Game Boy Advance's lack of a backlight. All Yoshis had red shoes in the original. In the remake, they have different colored shoes, as in Yoshi's Story. When Yoshi touches a Fuzzy in the original game, the background smears erratically and fades between random colors. The ground also ripples. In the remake, the background doesn't smear or tint. However, it does fade between white and its normal colors. The ground ripple is also less fluid in the remake. This probably happens because the Game Boy Advance is not able to handle the Super FX chip-powered graphic effects as well as the original. The overworld map was redesigned. The path the Yoshis follow to their goal is now in a straight line, and spots have been added to the map for each world's two hidden levels. Additionally, a "world select" screen was added. The game's soundtrack was downgraded to match the Game Boy Advance's sound capabilities. Several sounds in the original were replaced by sound clips similar to the ones heard in Yoshi's Story - most notably Baby Mario's cry and Yoshi's voice. Trivia for Super Mario Advance 4: Super Mario Bros 3: The 1 Player and 2 Player options were replaced with the option as playing as either Mario or Mario & Luigi, which is essentially identical to the former options. Luigi's animations are similar to his Super Mario All-Stars: Super Mario Bros. 3 counterpart, but he now has his Super Mario Bros. 2-styled "Flutter Jump", i.e. he can stay in the air a bit longer than Mario. Spade Panels now produce different variants in response to completing one. The order is: Spade > Heart > Club > Diamond. Each one allows the player the chance to earn more lives. Mario can have more than 100 lives. Getting a Fire Flower or Raccoon Leaf will have their usual effect rather in the situation of Mario taking damage to revert to small Mario before he touches the power-up; previously this would just have the effect of a Mushroom. Koopa Troopas can now be stomped underwater. Upside-down Spiny shells can now be safely touched, stomped or kicked from above without taking damage; in previous versions, even an immobile, upside-down Spiny shell would hurt Mario if he landed on top of it. Giant Brick Blocks can now be broken with Mario's tail (with the Raccoon or Tanooki suit). In several levels of World 4, just before the Goal Panel, there is a coin bonus in the sky. In World 5, some brick blocks that otherwise make Pipes and Bullet Bill cannons float in the air contain coins. In World 5, the map of the ground seen from the sky was moved up and right hiding the little mistake they made on the "Ground Map" on the NES and SNES Version. In World 6, the path to the Mushroom House was altered so the player does not have to do 6-5 to access it. A few sprites were slightly improved. For example Mario and Luigi now wear their gloves. Previous versions had the two with no visible gloves, the NES version due to color limitations and the All-Stars version for unknown reasons. For most levels (except for underground levels, airships and fortresses) there is no parallax scrolling in the background. Mario can carry shells into pipes without losing them. The first pipe in level 1-1 now contains a normal Piranha Plant instead of a Venus Fire Trap. Mario's and Luigi's overalls are blue instead of black. The only palette differences between Super Mario and Fire Mario are the colors of the hat, shirt, and overalls. In the NES version, Fire Mario is Super Mario with a red tint. Trivia for Castlevania: Circle of the Moon: For American gamers, this was the first appearance of Carmilla since Simon's Quest on the NES. While there are no extra characters to play as, it is possible to change into a cartoon bear in CotM. The bear, known as BearTank, comes from a Nintendo 64 Konami fighting game called "Rakuga Kids." Despite the game's success, series producer Koji Igarashi, who had not been involved in its production, was highly critical of the game. When developing the follow up title Castlevania: Harmony of Dissonance, he cited in an interview several flaws he felt should have been rectified in Circle of the Moon's design, primarily its control scheme and the dark appearance of the graphics on the Game Boy Advance. He additionally criticized the DSS card system, stating that it "did not match with the world Castlevania had established over a long period of time", though admitted he felt it was a good system. In 2002, Circle of the Moon was removed from the series timeline, a move met with some resistance from fans. Igarashi noted the reason for the removal as not due to his non-involvement with the games, but instead the intention of the game's development team for Circle of the Moon to be a stand-alone title. However since that time, later timelines distributed with preordered copies of Castlevania: Portrait of Ruin noted the game's presence, as did one featured in Nintendo Power for a preview of Castlevania: Order of Ecclesia. However, unlike other games mentioned Circle of the Moon's events were not described. Castlevania Harmony of Dissonance Trivia: Igarashi began with the goal of "creat[ing] a game that was similar to Symphony of the Night for the Game Boy Advance. "Igarashi disliked the dual-card system introduced in Circle of the Moon and replaced it with a fusion-spell system. Another change from Circle of the Moon was the brightening of the graphics and better control. For the plot, he decided to move away from the plot device of Dracula's resurrection every hundred years, used in many of the previous games, and "depict what the Belmonts do in the time between resurrections of Dracula. Igarashi later noted that the quality of the music had been "sacrificd" for the graphics of the game. In the Cave of Skeletons, several background details make references to other games in the series; most notably, the large statue, reminiscent of Dracula's final form in Castlevania III: Dracula's Curse, another statue which is clearly intended to resemble Camilla's mask (Vampira) from Castlevania II: Simon's Quest, the giant three-eyed skull from Castlevania: Rondo of Blood, the skeleton of Medusa, and the skeletons of the dynamic duo from Super Castlevania IV, Slogra and Gaibon. There is a monster later in the game called the Simon Wraith. It's dressed as the original Castlevania hero and wields a whip. However, in Japanese, its name was "Shimon," which is how you write "Simon" in Japanese. The kanji literally means "Gates of Death." This is a type of pun unique to the Japanese language. You'll also see the whip-wielding skeletons referred to as the "Gates of Death" in the English Castlevania III manual. There are a few items that refer to characters from older Castlevania games. Sypha's Crystal will increase your MP recovery rate, while Christopher's Soul is a whip attachment that will let you thrown fireballs when you're at full health (like the old Game Boy games). Unfortunately, these names were changed for the American release. The menu screen music is a remix of the name entry screen in the Famicom Disk System version of Castlevania. The Game Over music is also from the first two Game Boy games. The Thunder and Bible Spell Fusion will create two glowing energy orbs which float in front of you and block enemy attacks. You can also run them into enemies to directly damage them, but the shields only last until hit about 16 times, and they shrink to reflect how much energy is left. The orbs are a direct reference to the early form of the Shield power-up from Gradius, Konami's prolific shooter series. It even uses two sound effects from the first Gradius game; the power-up confirm sound is heard upon activating the spell, and the shot impact sound is heard when something hits the shields. Ok, it's far from my favorite GBA game but I think it deserves at least an honorable mention . The early stages primarily just teach you the mechanics of the game, as it does play different from most other platformers. Once the game starts really taking advantage of the mechanics though the game starts to shine. I especially love the secret levels. I actually had Golden Sone once. I tried playing it but the battles bored me to tears. If this comes out on the VC I'll definitely give it another shot. I guess I found the game that everyone likes but I don't. Although, I also don't like Katamary Damacy. OK, first of all your article is simply overflowing with trivia... And I like it! As for your list, there are definitely titles there I will gladly buy again even though I already own them on a GBA cart: Minish Cap, Kirby: Nightmare in Dream Land and Amazing Mirror (I love the Metroidvania game play), Mario & Luigi, Metroid Fusion and Zero Mission, and the three Castlevania games. 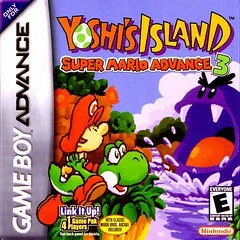 There's some stuff I don't like about the GBA ports of the Mario games though, such as Yoshi's voice in Yoshi's Island. Maybe I'm just so used to the original SNES game, I feel this detracts a bit. Elevator Action is a game I heard about but never played in its original form. And I never heard of the the GBA remake before! That's something I'm greatly looking forward to on the VC service. Just like we saw on the Wii, Japan-exclusive titles now have a chance to reach other parts of the world. If Mother 3 came out in the U.S. ... I'd die happy. As for the Drill Dozer discussion: I love that game. It was really cool to see Game Freak do their own thing outside of the Pokemon games. It's a lot of fun, and the drill mechanics seem limiting at first, but the game builds on those mechanics in unexpected ways. Another game I would love to see on VC: Ninja Five-O! I never got a chance to play it, but I heard many good things about it. @roykoopa64 That is an awesome game. I actually almost put it on my Top Ten. I neglected to put it in the Honorable Mentions section, however. That has now been fixed. The game is indeed quite good. I actually still own the cartridge. Think there's any chance that they would come up with a way to allow multiplayer in GBA games? I would love to play some Mario Tennis GBA against a real live opponent!